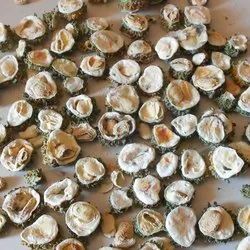 Prominent & Leading Manufacturer from Ahmedabad, we offer dry bitter melon bitter gourd, dehydrated bitter gourd, dried bitter gourd whole, bitter gourd flakes and bitter groud powder. It is called Karela Slices and Karela Powder. The offered product is processed using fresh quality bitter guard and modular processing techniques under the visionary guidance of trained food processors. Our offered product is stringently checked for their freshness and taste by our food quality controllers as per the set food industry guidelines. Clients can avail this product from us in safe packaging options. 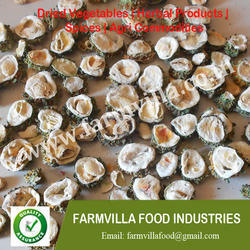 Our company engaged in processing and exporting of dry bitter melon slice and bitter melon powder. It is called Karela Slices and Karela Powder. The offered product is processed using fresh quality bitter guard and modular processing techniques under the visionary guidance of trained food processors. Our offered product is stringently checked for their freshness and taste by our food quality controllers as per the set food industry guidelines. Clients can avail this product from us in safe packaging options. 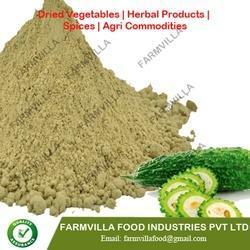 Our company engaged in processing and exporting of dehydrated bitter gourd slice and bitter gourd powder. It is called Karela Slices and Karela Powder. The offered product is processed using fresh quality bitter guard and modular processing techniques under the visionary guidance of trained food processors. Our offered product is stringently checked for their freshness and taste by our food quality controllers as per the set food industry guidelines. Clients can avail this product from us in safe packaging options. 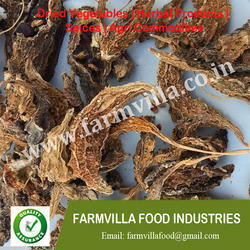 Our company engaged in processing and exporting of dehydrated bitter gourd Flakes and bitter gourd powder.